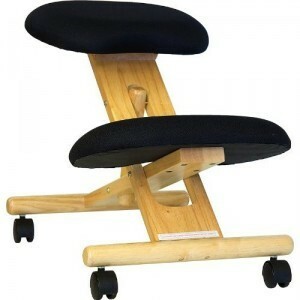 Kneeling chairs come in many designs – varying with their adjustable features, padding, materials, rolling base and more. What might be a great chair for one person, might not be for another. Some end up being great products, some don’t. We put these products to the test and deliver you the results. 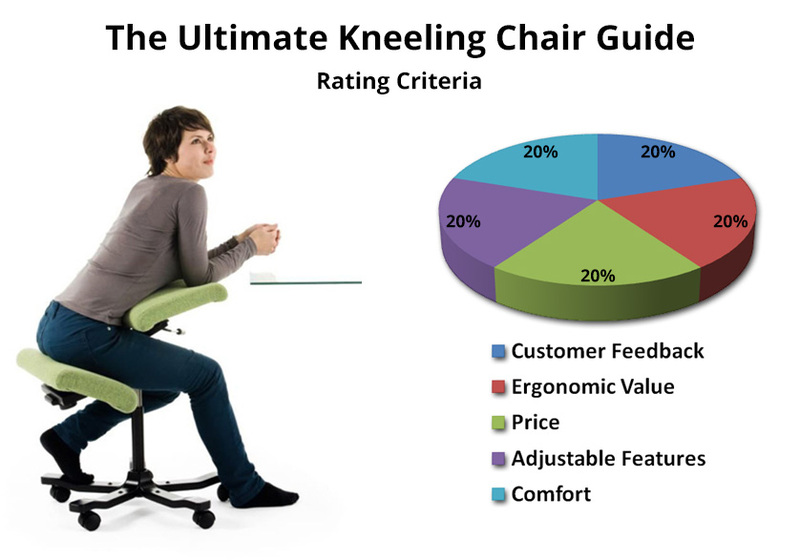 Continue reading to find out which is the best kneeling chair for you. 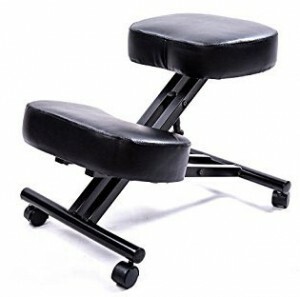 Below, you will find a list of the best kneeling chairs available on the market today. Each of our top-ranked favorites will be listed below with a description of its features, ranking score and the links to where to purchase them at the lowest possible price. Take control of your back pain today with one of these incredible products. Note: This top tier list is continually updated. As each new chair hits the market, our team begins the evaluation process. Any product that deserves a spot on the top-5 list will be added right away. Manufacturers may email us with a new product to review by heading over to our contact page. 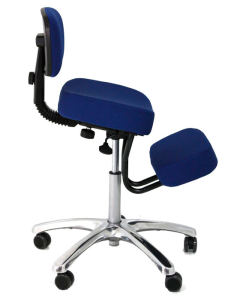 Flash Furniture is one of the most well-respected manufacturers in the ergonomic community. They certainly show it in the design of this wooden posture chair. Considering all the great features it boasts, we were surprised at its low price. 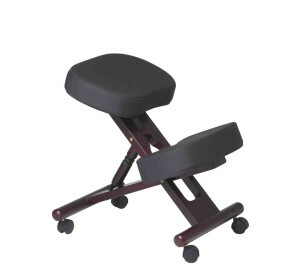 One of the main features we like about this product is its adjustable height and ability to fold down completely. The height adjustment will allow you to place your eye-level in line with your screen (very important in ergonomics). 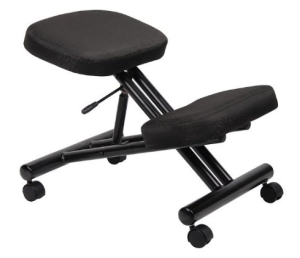 The Office Star Executive knee stool pulls off style without sacrificing its ergonomic value. It features a memory foam pad for both the buttocks and the shins which can be incredibly comfortable. This product is pretty much the best you can get, we only knock it for its price, which is well over what’s offered by the competition. However if you’re one of those types that looks for the the creme of the crop, then look no further. Boss’s B248 is quickly gaining ground as a customer favorite. It’s extremely durable. John at KCHQ has had his for over 7 years with little to no wear-and-tear. Many claim, ourselves included, that the padding is its greatest feature: firm yet comfortable. With a solid metal frame and large supportive cushions, the ergonomic kneeling chair from Sleekform is one of our favourite products. While other manufactures promise a comfortable experience, Sleekform have taken that to heart providing twice as much cushion as their competitors. 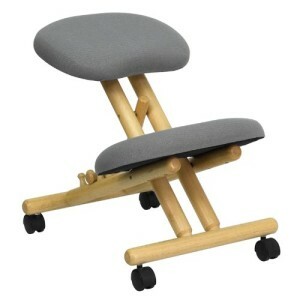 If you’re looking for a good way to improve a kneeling chair, adding a backrest is a good way to get started. For this product, Flash Furniture started with their entry-level ergonomic kneeling chair, and provided it with an edge over its competitors with a reclining backrest. Our team at KneelingChairHQ consists of two chiropractors, an orthopedist and and ergonomic design specialist. Combining over 20 years experience in ergonomics and postural health, we feel confident about our ergonomic recommendations and wish you a healthy life… and a healthy back.